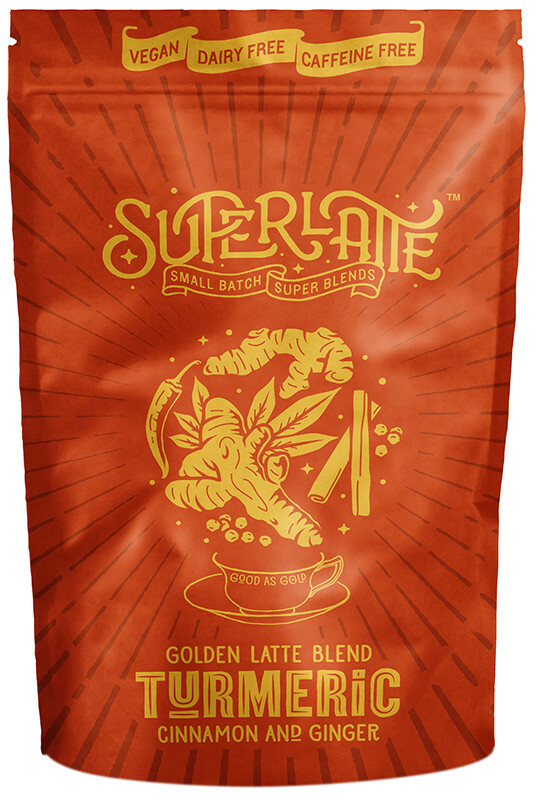 Superlatte’s ‘Golden Milk’ Turmeric Latte brings the anti-inflammatory goodness of curcumin to a cup near you! 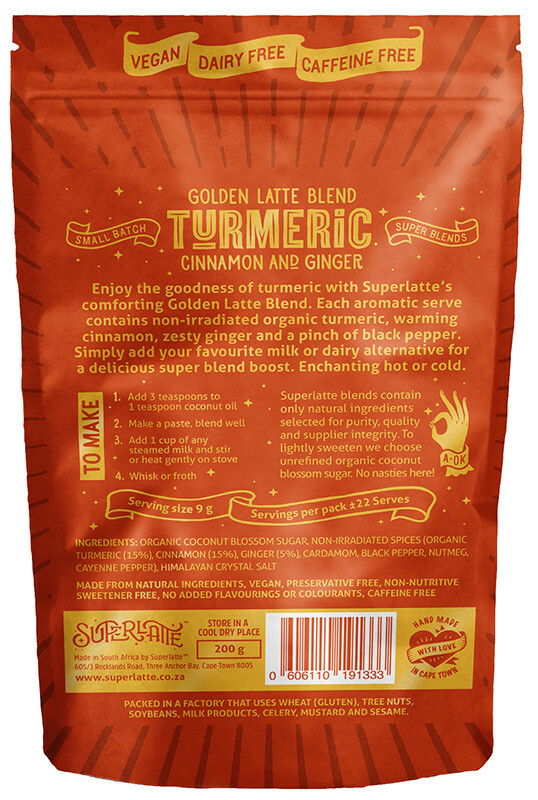 Make a delicious ‘Golden Milk’ Turmeric Latte at home just the way you like it and load up on the proven natural benefits of turmeric with our hot frothy blend of organic ground turmeric and fragrant spices. You’ll also find hints of ginger, cinnamon, cardamom, and black pepper – known to help the body absorb the curcumin in turmeric. I think I might have found my insomnia cure! One cup before bedtime and I sleep like a baby for the rest of the night. Delicious! My absolute favourite drink! Super rich, creamy & tasty! Very sad to say that I could not drink this - it is way too strong for me - the turmeric is so overpowering, just not for me unfortunately. Follow the recipe to make your latte EXACTLY and you will be in heaven!! I am a bit of a turmeric fan, but even my non-turmeric loving friends love this! Refer my review posted 25/09/2017 - an update! Rating changed to a delicious 5/5. I have become used to the slightly sweet taste, and ordered some more now. Was kinda grumpy when I realised my supply ran out, and had to wait until payday to buy some more. A pleasant spicy drink, as the name also says. Only drawback is that I find it somewhat too sweet for my liking, but I will possibly order it again after the first two sachets I bought have been consumed. I absolutely love this product, it's super tasty!